Buying A Home Isn’t Always The Grown-Up Thing To Do! – Carry on Beautiful! Buying a home is a good investment. Buying a home offers you stability. Buying a home makes you feel like a grown-up. That’s what people tell you anyway. But what if you have no interest in buying a home? What if you are happy to carry on renting like I am? Then fine! To be honest, buying a property isn’t always a good investment. It doesn’t always offer you stability. And let’s face facts, being an adult does not equate to being a homeowner, no matter how much your home-owning friends and family tell you otherwise. You don’t need to suffer from renter’s guilt if you prefer to pay money to a landlord rather than the bank. In short, it’s okay to carry on renting, if that is what you prefer. And here are the reasons why. Buying a home is expensive. If you don’t have the income to deal with the rising homeowner costs, it clearly isn’t a good investment after all. Mortgage prices are high, and there are all the other costs that come with buying a home – property taxes, insurance payments, etc. – that may lead you into financial ruin if your job situation isn’t stable. Unlike a rental property, you can’t downsize if your bills become too high, as buying a home means you are stuck there for the long haul, unless you want to endure further expense and stress with another move. Not to mention if anything goes wrong with the house its you footing the bill rather than a landlord! Buying a home is stressful. What if you make a mistake? What if you buy a money pit? Sure, you could hire a surveyor to alleviate building problems, despite the property survey myths, but you will still end up with other maintenance costs in the future without the safety net of a landlord getting on top of repairs for you. This is a life-changing moment, and while it can be positive if you make the right purchase, it can also be very costly if you buy a property without sufficient planning and research. Buying a home limits your options. If your job or family situation changes, it’s not so easy to move after you have bought a house. If you suddenly get itchy feet and want to live somewhere else, you are stuck, unless you want to lose money on your investment. If you have terrible neighbours, you can’t simply up sticks and move after buying a property. In some cases, renting a property gives you so much more freedom, especially when you don’t have anything tying you down to one place. I’m only 21 and even though I love the area I live in, I doubt I’ll want to live here forever. Buying a home isn’t a pathway to adulthood. Neither is getting married, having a family, and all those other ideals that people impose upon you. If you want to prove your grown-up credentials, be wise. Let other people see that there is wisdom behind your decision to rent. Unlike those people who are stuck with mortgage payments and the like, you have the freedom to move anywhere around the country and beyond. You have the freedom to put your money into other investments, rather than opting for a mortgage. You can do what you want, and despite those who question your desire to rent, know that in some ways, they are probably jealous of you anyway. They don’t have your freedom! Listen, I’m not saying don’t buy a house. If you are looking to settle down, and if you have a steady income, then by all means do so. If you want to buy but can’t afford it, then start building up your nest egg. That’s fine. 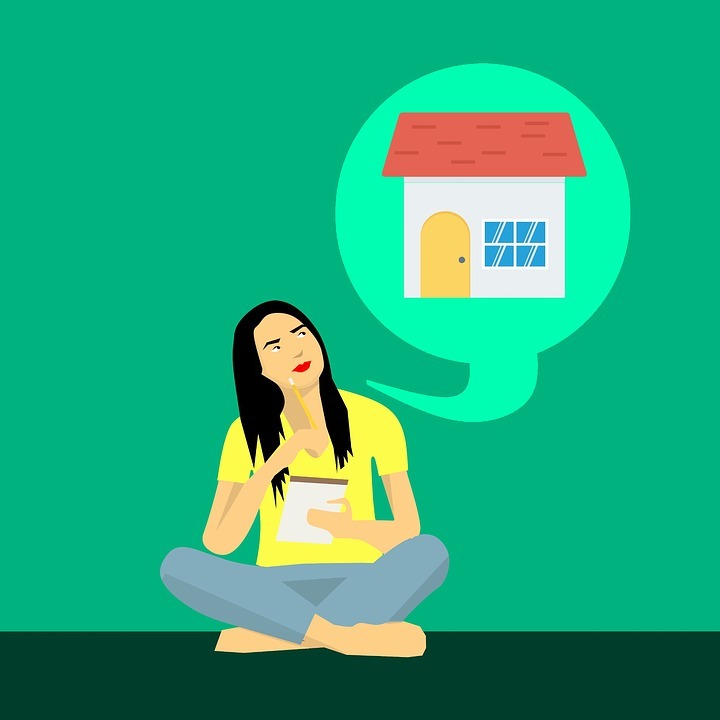 But if you still want to rent, if you have other things you want to achieve in the meantime, then know that buying a home isn’t all it’s cracked up to be, no matter what people tell you. Buying a home doesn’t suddenly earn you your ‘adulthood certificate.’ Do what you want, and be happy with your decision. It’s your life, after all! I find renting to be so much easier and more pratical for me as a young adult and though I definitely want to buy a house in the future, theres a lot that goes into it that means I’m much happier renting for now! Hi Dana, really great post! In the UK there is a huge social pressure to buy, evidenced by you at only 21 feeling that. Some people say that governments like people to be homeowners as they are then more biddable and focussed on fear of losing their jobs so they won’t go on strike or otherwise rock the boat hence, the Thatcher Government of the 80’s selling off council houses. In the rest of Europe renting used to be more the norm and people were much more mobile, not sure what it’s like now. Well done for presenting an alternative viewpoint! Pingback: Injecting A little Sunshine Into Your Home Without Breaking The Bank – Carry on Beautiful!